Beyonce's music has been heard all over the world, but this might be a first: Her hit new song "Run the World (Girls)" was played in space! The singer recently recorded a special message for astronauts aboard the Atlantis space shuttle and a snippet of her song played prior to the recorded wake-up call. "Good morning, Atlantis. 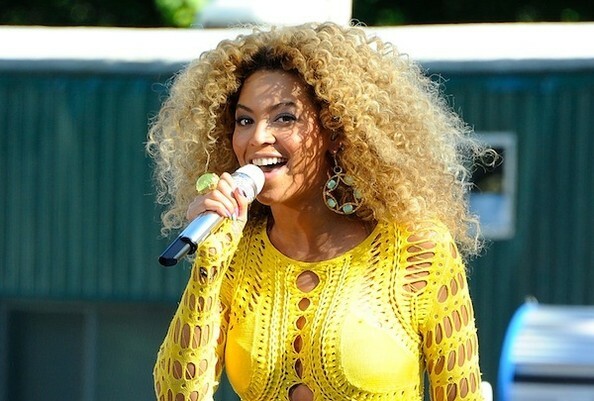 This is Beyoncé," she she said in the message to the NASA crew (via E! Online). "Sandy, Chris, Doug and Rex, you inspire all of us to dare to live our dreams, to know that we're strong enough and smart enough to achieve them. She gave a special shout out to the only female astronaut as well. "This song is especially for my girl Sandy. And all the women who've taken us to space with them and the girls who are our future explorers." Sandy Magnus responded with a kind message back to the singer. "Good morning, Houston! A big thanks to Beyoncé for taking some time out of her schedule to record us a greeting. We're ready for another day here in Atlantis! Hopefully we as a team at NASA can keep our inspirational work up for the young people of America," she said.